A decision to close 26 North Lanarkshire community venues outside school term times came under scrutiny at a recent council meeting. Last month CultureNL announced it would be slashing the opening hours of 26 venues across the local authority area to save £400,000. Earlier this month the ALEO agreed that eight of these centres – Auchinloch, Burngreen, Westfield, Pollock, The Village, Salsburgh, Harthill and Holytown – will open occasionally for lunch clubs and pensioner groups during the Easter and Summer holidays. At last week’s full council meeting Kilsyth councillor Mark Kerr submitted a motion calling for a complete reversal of this decision. Mr Kerr was supported by Cumbernauld East councillor Claire Barclay, who spoke of some of the groups impacted by his decision including church groups, lunch clubs and pensioner groups. 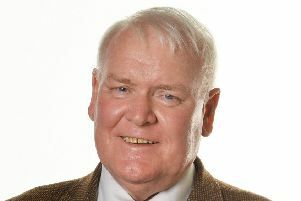 Frank McNally, who convenes the council’s Education and Education, Youth and Communities committees, added: “This council receives 85 per cent of its budget from central government and over the last decade that budget has been cut by £200 million. The debate ended with Councillor Kerr calling on the council to take a more positive approach to its venues and actively promote them to local groups to increase usage rather than cutting down their availability.